"A quick and easy treat! 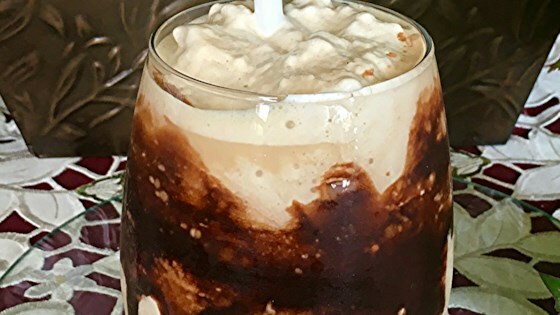 This yummy frozen coffee drink is for adults only. I discovered this by accident after making original Irish cream on St. Patrick's Day! Top with whipped cream and chocolate syrup if desired." Blend ice cubes, coffee, and Irish cream in a blender until smooth and creamy. I used the Original Irish Cream recipe from this site. Very tasty and refreshing. I added chocolate syrup to the inside of my glass. Nice presentation.